England boss Roy Hodgson has joked that keeping Wayne Rooney sidelined for their final Group D game against Ukraine would cause chaos. The Three Lions defeated Sweden 3-2 on Friday night to leave them needing just one point from Tuesday’s match to secure quarter-final qualification, and eliminate their opponents from Euro 2012. And it was Hodgson’s inspired substitution that saw Theo Walcott net an equaliser before setting up Danny Welbeck for the winner after Sweden had hit back with two goals shortly after half-time. While praising England’s attacking display, the 64-year-old insisted that Wayne Rooney has the extra quality that could help the side in a tricky tie against the co-hosts. Hodgson joked to The Sun: “I might have to take Wayne to one side and tell him he’ll have to wait for a few more games! Focussing on the Sweden game, Hodgson, despite being delighted at the result, reiterated that his squad must pay attention at set-pieces, after seeing both of their opponent’s goals come from lax defensive work. “It was a cracking game of football. We were reasonably comfortable at half-time and had a good control of the game before they rocked us on our heels,” he continued. “We knew how dangerous they were from set-pieces and they proved true to that. But it was very good the way the team responded to that. “It‘s difficult at this level, we‘re playing against good teams." Steven Gerrard put in a tireless shift in central midfield, as well as delivering the cross for Carroll's opener. 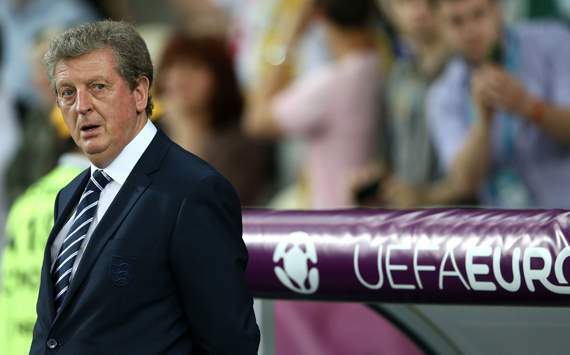 Hodgson insisted the captain’s displays have been up there with the most impressive of the competition so far. He added: “Steven has been fantastic ever since I was given the job. “My first thought was to contact him and since then he hasn‘t put a foot wrong as a captain, a person or a player.